“Legends of the Old West” shooting performance, part of “1860 Days”, an annual event in Pierce, Idaho. The event recognizes Pierce's contribution to the start of the Idaho Gold Rush and the establishment of the first mining town in Idaho. Pierce, Idaho, (population 525) is located within the Clearwater National Forest. In 1860, a party of gold seekers led by Captain E.D. Pierce arrived in present day Pierce. A member of the party discovered gold grains in the nearby Canal Creek. A gold rush followed, bringing upwards of 6,000 individuals to Pierce. In 1861, Piece became the first established mining town in Idaho and the county seat of Shoshone County. Pierce remained the county seat until 1885, when the county government was relocated to Murray. In the 1890s, C.D. and Nat Brown arrived in the region and began to focus on the abundance of white pine and other coniferous trees. Many individuals from the Great Lakes migrated to the region, opening the land to logging. To this day, the logging industry remains a major part of the local economy. Built in 1862, the oldest governmental building in Idaho is the Pierce Courthouse. The courthouse is listed on the National Register of Historic Places and is maintained by the Idaho Historical Society. Also in Pierce is the J. Howard Bradbury Logging Museum, which includes an extensive mining, logging, and Chinese history collection. Pierce is located along Highway 11, which has been designated as the Gold Rush Historic Byway. To further promote the byway, the city of Pierce constructed an interpretive kiosk to highlight the history of the community. Six local artists contributed to the exterior artwork of the kiosk, through painting, woodcarving, and metal sculpture. The interior panels document the history of Pierce, highlighting historical characters, and a map directs visitors to local historic sites. The kiosk received the Outstanding Visitor Center award during the Idaho Governor's Conference on Recreation and Tourism in 2008. Every August, the “1860 Days” event takes place in the city of Pierce. The event is held to recognize Pierce's contribution to the start of the Idaho Gold Rush and the establishment of the first mining town in Idaho. 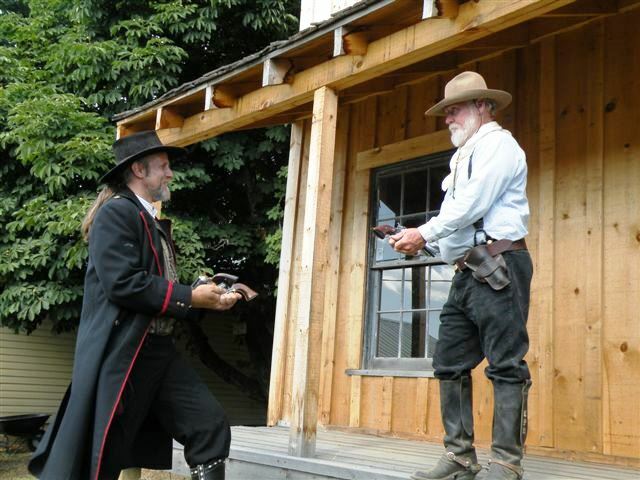 The festival includes a Dutch oven cook-off, gold panning, longest beard and best-groomed beard contest, and “Legends of the Old West” shooting performances.